Back in March 2017, regular customers Geoff and Jean had decided to move their lovely Westwood 34 down from Wroxham on the Norfolk Broads, to Shepperton Marina on the River Thames. Having spent the season extensively using their boat on the Thames for the last 7 months, clocking up in excess of 400 hours cruising time, they decided to move up to the River Trent. 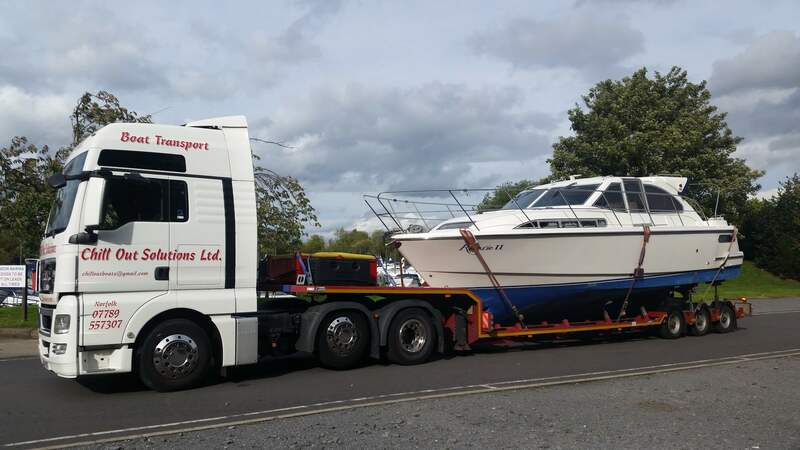 We loaded in Shepperton and delivered their boat to Farndon Marina in Newark. Geoff is already contemplating where to move to next! great service by Paul,when he says he will be there at a particular time.he is ! As and when we try somewhere else,Paul will be the one taking us Geoff.